Educational Qualifications Graduate / BE / B. Tech / MCA / Degree / Diploma / B.Sc. 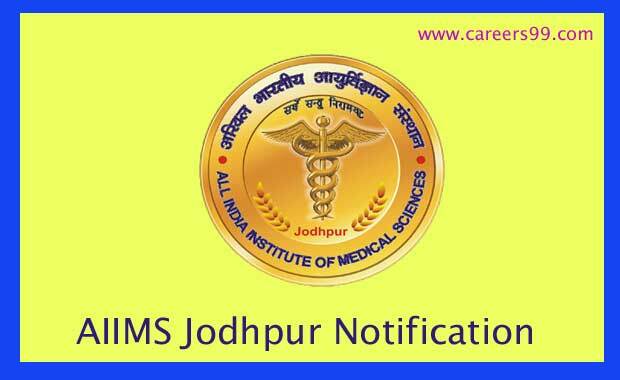 Interested Job Aspirants who are ready to apply for All India Institute of Medical Sciences, Jodhpur 2019 Notification must possess the below-given Eligibility Details. Graduate in Mechanical/Electrical Engineering from a recognized University / Institute with 5 years’ experience in design and engineering of civil projects, preferably in a Hospital environment. Graduate in Civil Engineering from a recognized University / Institute with 5 years’ experience in design and engineering of civil projects, preferably in a Hospital environment. Graduate in Electrical Engineering from a recognized University / Institute with 5 years’ experience in design and engineering of civil projects, preferably in a Hospital environment. 10+2 in Science with Certificate/ Diploma Course in Electrocardiography from a recognized institute and 2 years’ experience in the field. (i) Bachelor’s Degree preferably with Science & Recognized University or Equivalent. Selected candidates will get Rs.25,500 – Rs.1,42,400/- by the Recruiting Organization. First of all, Open Official Website i.e., aiimsjodhpur.edu.in. Fill required Details in the AIIMS Jodhpur Application form and Upload required Documents and Pay Application Fee if Required. Once All details confirmed, Submit and Take the printout of your AIIMS Jodhpur Application.